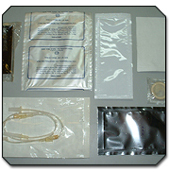 The Pak-Rapid High Speed packaging equipment is the result of many years of research and development. These machines perform countless packaging operations, exceeding the varying requirements of many industries packaging an endless variety of products. The Model HC Machine is a vertical machine used for packaging fasteners, "O" rings vitamins, electronic items, service and replacement parts just to name a few. The machine is equipped with a tray conveyor, which provides for the feeding of parts by hand or with mechanical or electronic counters and feeders. the tray conveyor collects the assortment of parts fed, and delivers them for automatic packagine. 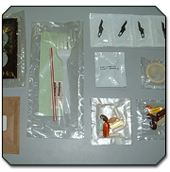 An exceptionally versatile pouch packaging machine for packaging a variety of products. Continuous dependable operation using rotary motion principle. 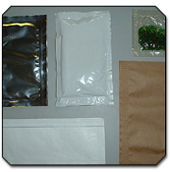 Because of simple pouch size adjustments the machine is particularly suited for short runs. A Horizontal Machine for packaging low profile hospital, surgical and pharmaceutical products in peel-apart pouches. 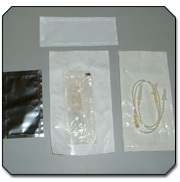 Products are packaged in a medical grade packaging material for sterile and nonsterile packagin in a four-sided sealed pouch. Adjustable Vertical machine for packaging small loose items, granulars, powders, liquids and creams. The machine is equipped with adjustable dies so that package size changes in both directions can be effected without changes in parts, in a minimum amount of time. Copyright 20014 All Rights Reserved.